A range of our products including HL5 Medium, SM/5 Broth and Loflo Medium have been used in research by the MRC Laboratory of Molecular Biology, the University of Southampton, the University of Cambridge and the Aberystwyth University. Our products were used in dictyostelium cell culture and transformation. D. discoideum strains (listed in Table 2) were cultivated in association with Klebsiella pneumoniae on SM agar plates at 22°C, harvested and prepared for experiments by removing the bacteria by differential centrifugation in KK2 buffer (16.5 mM KH2PO4, 3.9 mM K2HPO4, 2 mM MgSO4). For axenic growth, cells were grown in autoclaved HL5 medium (Formedium, Hunstanton, UK) on tissue-culture treated plastic dishes, or shaken at 180 rpm in 250 ml flasks, in both cases at 22°C. To prepare serum-supplemented medium foetal bovine serum (Hyclone/GE Healthcare, South Logan, Utah) was either added directly to filter sterilised HL5 medium supplemented with vitamins and microelements (HL5VME, Formedium), or first diluted to 10% vol/vol in Milli-Q water then used to dissolve powdered HL5VME before 0.2 μm filter sterilisation. Variable amounts of precipitated material are visible in filtered serum-supplemented HL5VME during incubation with cells at 22°C; these solids may help to stimulate growth (Watts, 1977). To measure growth rates on bacteria, cells were shaken in a suspension of heat-killed Escherichia coli B/r (at an OD600 of 10) in KK2. Cells were transformed according to the method of (Pang et al., 1999), except that selection was carried out growing cells on bacteria in order to avoid selection for axenic growth: for the axeB gene disruption cells were plated in 2.5 ml KK2 buffer containing a suspension of heat-killed K. pneumoniae at an OD600 of 5 and 50 μg/ml tetracycline, 100 μg/ml dihydrostreptomycin, and 40 μg/ml G418 in 6-well tissue culture dishes. Once wells became confluent, cells were passaged again in the same conditions to kill non-transformed cells before being cloned on SM agar plates and screened for the disruption by polymerase chain reaction and sequencing. Later transformations, to introduce expression constructs and to disrupt nfaA, used an improved selection protocol as follows: Klebsiella pneumoniae was grown overnight in a standing bottle of SM/5 broth (Formedium SM broth diluted fivefold in Milli-Q water) to stationary phase, then diluted fourfold in fresh SM/5 broth containing 100 μg/ml dihydrostreptomycin and 60 μg/ml hygromycin, giving a final OD600 of approximately 0.1–0.2. A total of 2.5 ml of bacterial suspension was added per well of a 6-well cluster dish, or 10 ml per 100 mm dish. The bacteria and antibiotics were replenished at least every 2 days until amoebae grew to their maximum density (typically 3–4 days after the initiation of selection). Putative nfaA disruptants were again cloned on SM agar plates before screening as above. 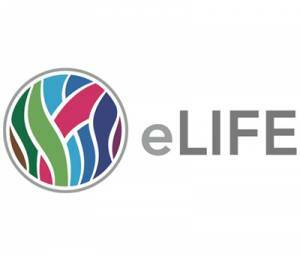 https://elifesciences.org/content/4/e04940/article-metrics – March 27, 2015. Gareth Bloomfield David Traynor Sophia P Sander Douwe M Veltman Justin A Pachebat Robert R Kay.